Storytelling, tiny press and zine swap. Buy, sell, trade your zines and other stories. 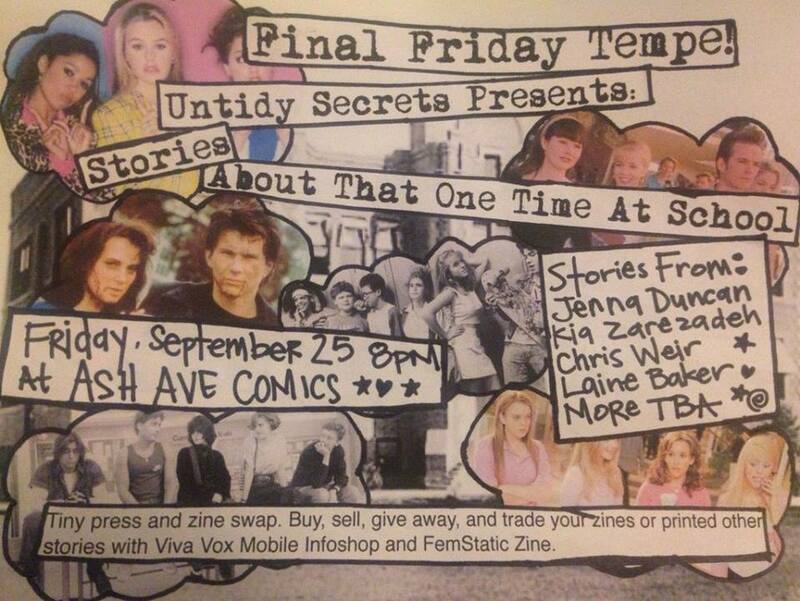 Viva Vox Mobile Infoshop and FemStatic Zine will be set up. BYOB! Friday, September 25th at 8:00 PM at Ash Ave Comics. Located at 806 S. Ash Ave in downtown Tempe.